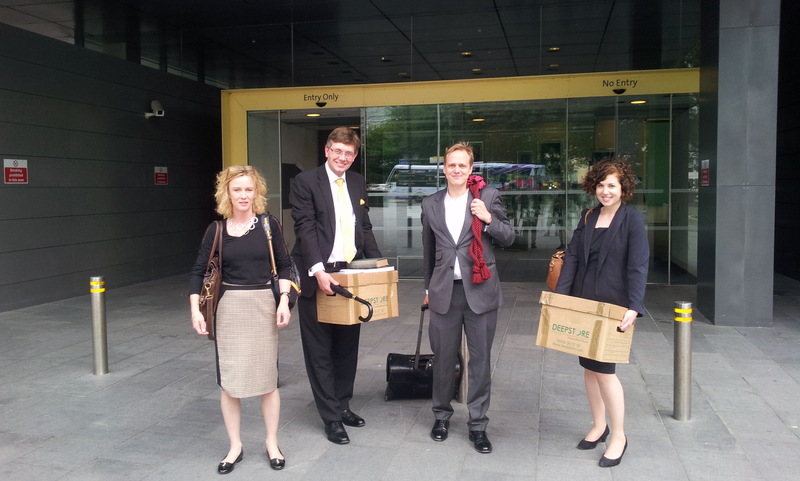 Photo of Alltrials team outside Manchester County and Family Court today after the judicial review case instigated by Richmond Pharmacology. Ruling to be released some time next week. Fingers crossed. This entry was posted in AllTrials, Science and tagged Free the Press, Freedom of Information, Manchester, Sense About Science by Conrad Bower. Bookmark the permalink.